Where's K7GPS by vicinity tracking? No GPS is needed. The location is picked from the first digipeater that heard the packet. If someone does not have a working GPS, they can still be approximately tracked to Dayton. As long as they are transmitting some packet periodically, then you can use vicinity tracking to see at least what digi they are near. On FINDU, there is a great vicinity tracking feature. Just add "&vicinity=1" to the end of the normal FINDU.COM URL and it will plot the location of the digi that first heard the packet. That should plot the nearest digi that heard my last packet. Using this feature, you can track things over large distances without having to power the GPS. Just flea power to a tiny PIC and transmitting a BEACON once every 30 minutes could last a year on a set of AA cells. From an APRSSIG posting by Bob B. > 146.520" and have that sent every 4th time. 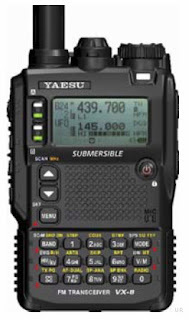 Please consider putting it into the new APRS frequency format. By putting the freqeuncy as a FIXED field as the first 10 bytes of your position comment in the format "FFF.FFFMHz", then your frequency can be parsed. For example, the new Kenwoods have a TUNE button for one-button tuning to these frequencies. And no Dear Google, this is not a spam blog. It will be used for real informative postings. Please see http://www.nwaprs.info for our main home page.